Lewis Hamilton has questioned Fernando Alonso’s career choices and suggested it went wrong by him thinking he “controlled the driver market”. Alonso is coming to the end of his Formula 1 career after deciding to retire from the sport to pursue other racing interests. Although he has two World Championships to his name, a lot of ‘what if’ questions have remained throughout his 17 years in Formula 1. 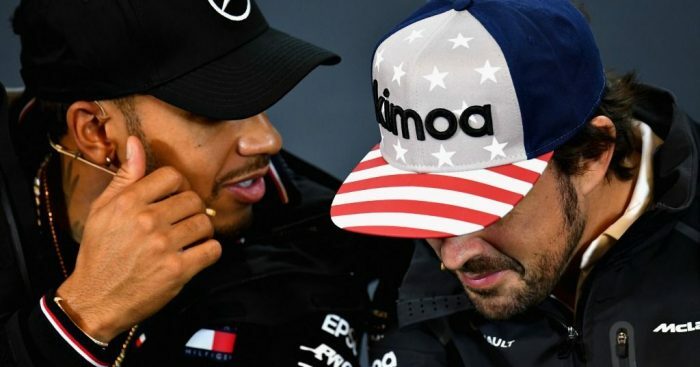 Hamilton, who has been proven that he made the right move leaving McLaren for Mercedes, has said it all about making the correct decisions and how you approach the drivers’ market itself. “Sure, he could have won more championships, but it’s not like he didn’t have the chance,” Hamilton said via Auto Motor und Sport. “It just depends on making the right decisions outside the cockpit. Fernando Alonso has a lot of respect for his former team-mate, naming Hamilton on his top five list of greatest World Champions. Hamilton also praised Alonso and believes his stock still remains high despite four miserable seasons with McLaren.